877.26 sqft. - 1024.29 sqft. 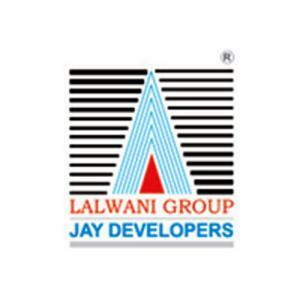 Jai Developers brings to you an exclusive apartment project viz. Sai Serenity B in Nashiks Anandwalli Gaon. As a resident of this project, you can look forward to a 2BHK apartment home that raises the bar for residential projects in the market. You will be hard-pressed to find such spacious carpet area, high quality finishes and floor planning at this price anywhere else in Nashik. The project is scheduled for completion and hand-over by December 2021. Upon moving in, residents can expect a fine set of amenities for their convenience. There is 24x7 security planned for this gated housing community, along with closed and open car parking as well. Buying property in Anandwalli Gaon, a suburb alongside Gangapur Road, will always be a good decision for you. The locality is seamlessly connected to neighboring localities such as DK Nagar and Parijat Nagar, and is close to many shopping malls, schools, banks, hospitals, etc. Just check out the project site and explore all the advantages with assistance from our team.